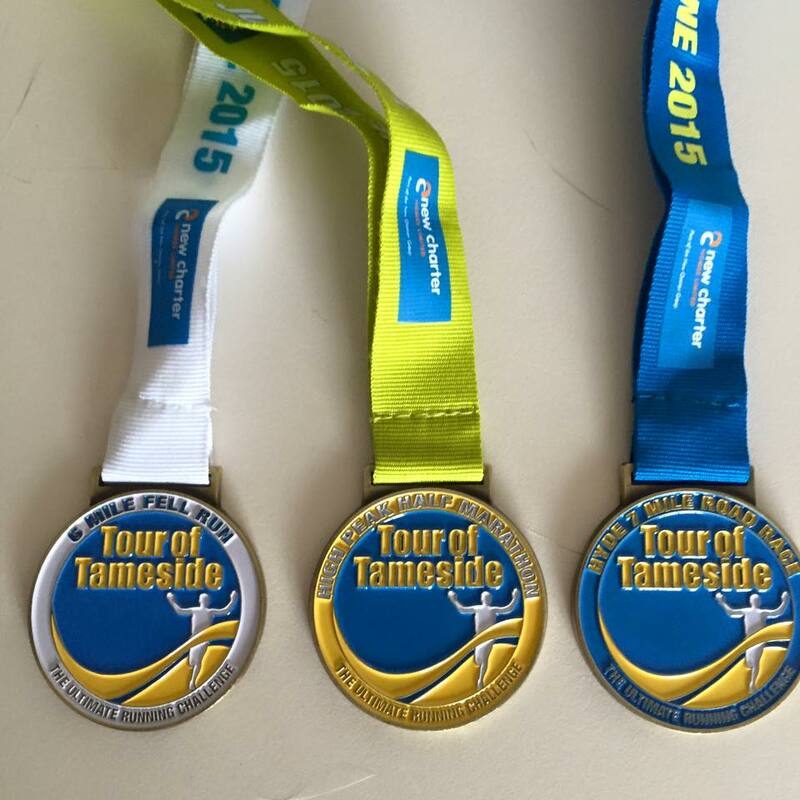 After a 14 year hiatus, the Tour of Tameside was back! Three races over three consecutive days. A six mile fell run, a trail half marathon and finally a seven mile road race. Five intrepid Belle Vue Racers (Annie Hirsch, Julia Foy, Catherine McKenna, Lisa Donnelly and Steve Mycio) decided to take on this challenge. Just to see if we could do it! The BVR ladies met up with Steve who had just flown back from a holiday in Florida with jet-lag in tow and made their way to the start. 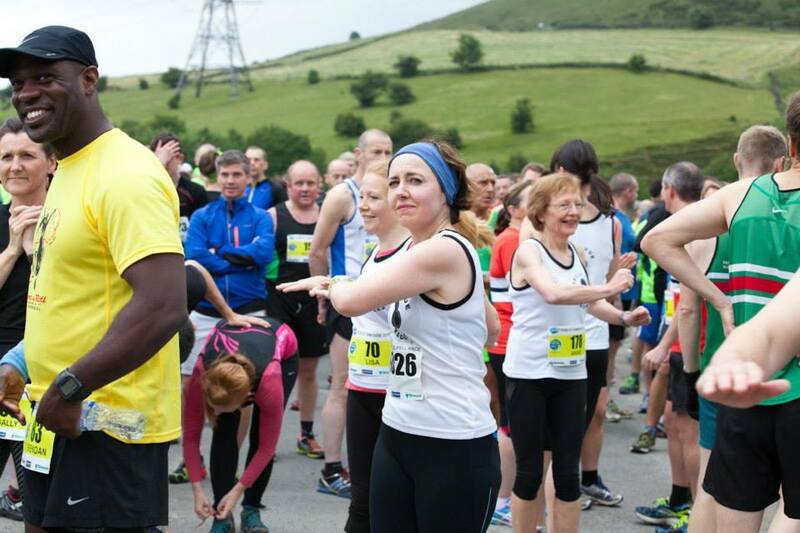 The Friday fell race was more hill than fell but wow, what a hill! After a short descent to the bottom, it was then 4.5 miles of relentless climb through the streets of Stalybridge and Matley with a very steep (and a bit knee-twistingly scary) mile descent. It was brilliant! We all got back to the start buzzing after the first race with both Annie and Steve coming first in their category. 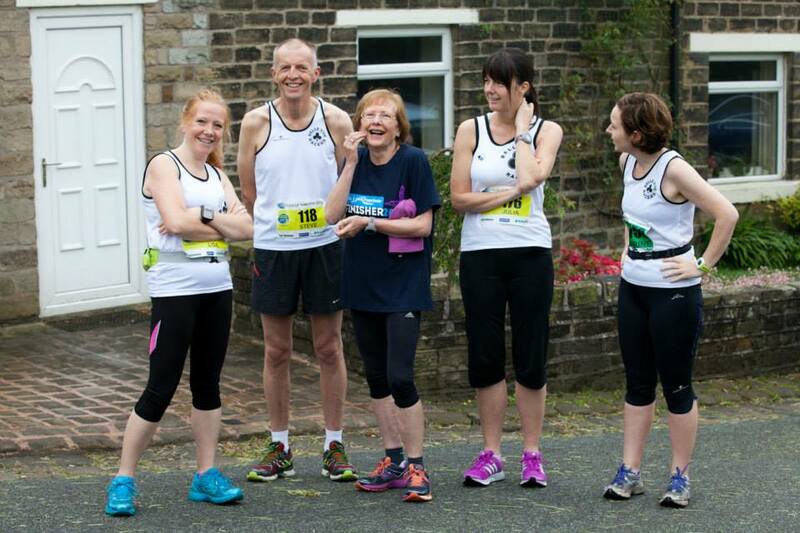 With very little sleep (we blamed adrenaline, buzzing legs, strange food patterns) after the night before, day two came all too quickly but we all felt ready for the next race, quads and calves a bit achy from last evening’s fell race. Steve kindly opened his house in Hadfield to us all to get ready and we set off on a misty, murky and drizzly day on an ‘out and back’ run along the Longdendale Trail. There were mixed emotions about this race. It was a tough trail run with a hidden incline for seven miles making it a tough half. Having only a few hours to recover may have contributed somewhat! We all headed back to Steve’s home covered in little bugs, for brews and flapjack to keep warm! After having a nightmare finding the car park in Hyde town centre, as they’d closed all the roads, we finally got to Hyde Town Hall. It was a much busier race with plenty turning out for the road one! With a slight sense of dread that our legs wouldn’t be able to cope with too many more hills we set off for a hilly seven miler. Thankfully there was enough downhill to make up for the uphill! A great road race!